Spain is a paradise for mountain holidays. The ski and mountain resorts of Spain offers a lot for the ones who want to spend their both summer and winter holidays along its variety of beautiful regions in the company of spectacular mountains, beautiful valleys and wide range of national parks & nature reserves. The regions for skiing and mountain holidays in Spain are Ourense, Asturias, Leon, Cantabria, Huesca, Teruel, Lleida, Girona, La Rioja, Madrid, Salamanca, Segovia and Granada. It is possible to make both alpine and nordic skiing. 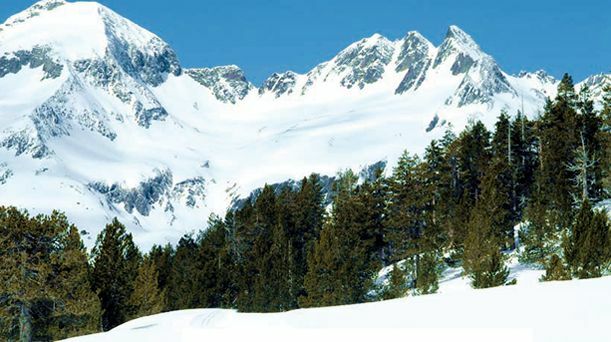 Below you'll find the ski & mountain resorts information of the regions in Spain.